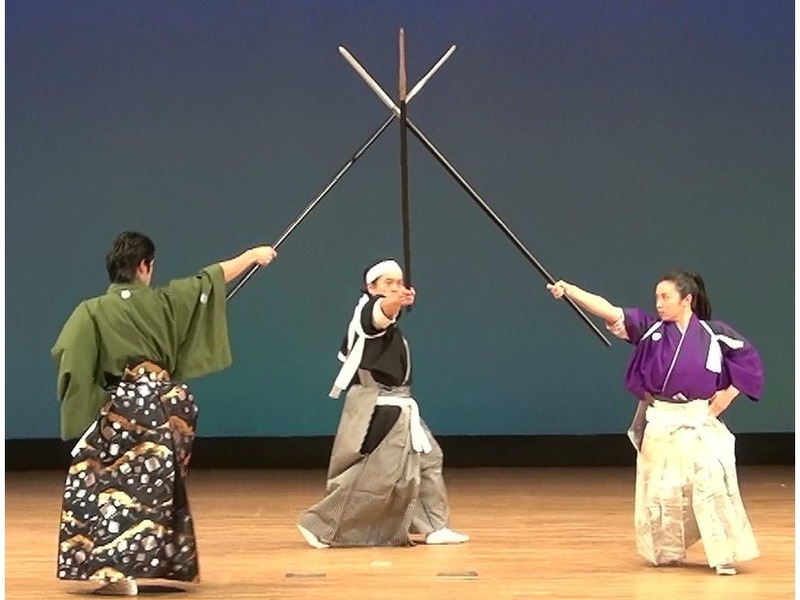 “Samurai Kembu Theater” is a facility where you can experience “Kenbu” (a sword dance), a traditional performing art that conveys the samurai culture to the present age. 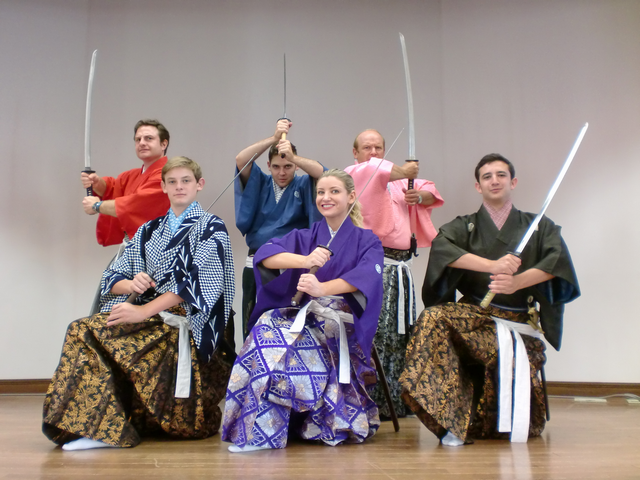 You can wear the costumes just like Samurai and challenge authentic dancing with swords and fans. In the commemorative photograph of free time, instructor poses in front of gold folding screen, so you can take instagrammable picture. 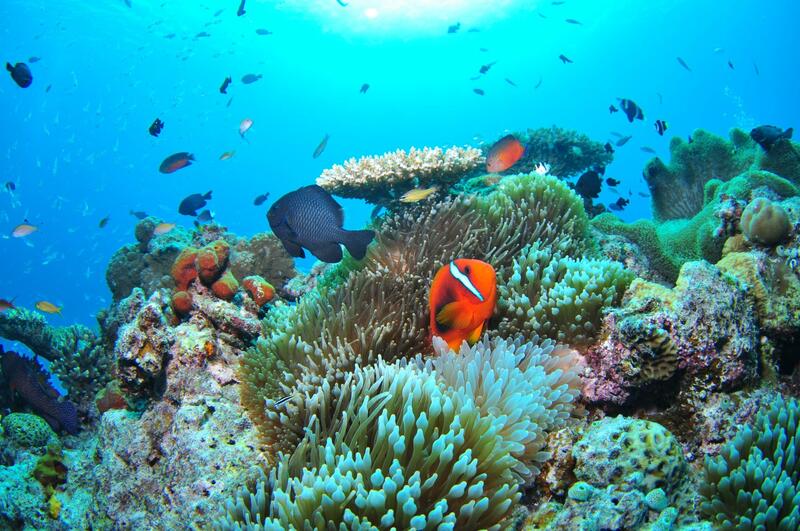 Because trial lessons are mainly in English, it is also popular with foreign tourists. Learn how to handle a sword such as the direction of the cutting edge, how to swing, how to house it to the sheath. From a handy 1 hour lesson, 2 hours lesson that you can learn in earnest is available. It is possible to participate only by observing the demonstration by the teacher. Please keep in mind that any plan requires advance booking and you can not participate on the day. The Kembu (a sword dance) is a traditional performing art to dance to Chinese poetry and a Japanese poem with a sword and a fan. It is thought that the prototype of dance existed from Nara or Heian period, but is said that the modern Kembu was born after the Meiji Restoration. 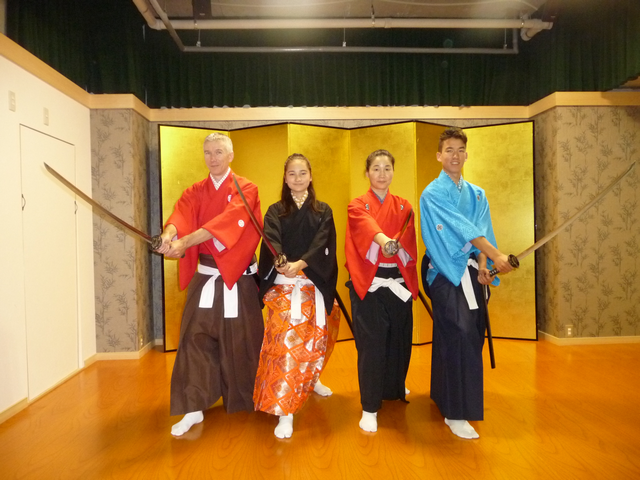 In Samurai Kembu lesson, the participant changes into full dress of the samurai and learns the dance using a Iai-Katana (practice sword used in iaido). 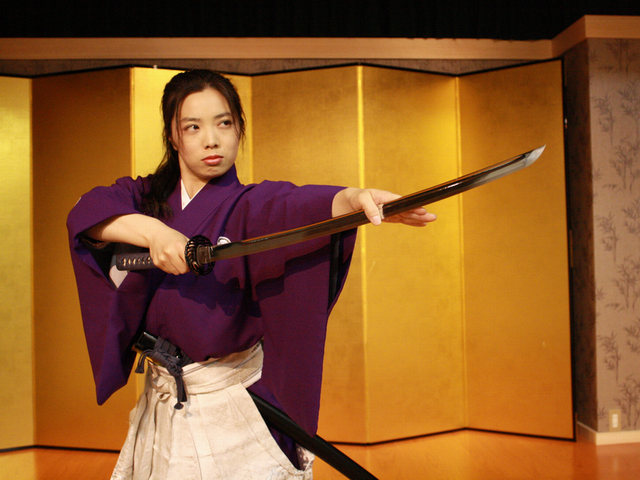 In addition to the exhaustiveness which not only how to handle sword but also the manners such as the ways of the bow teach, the lesson performed in English is very popular. The fee rate is divided into a full-scale lesson or a simple lesson; adult 4,000-9,000 yen, 3,000-8,000 yen less than 11 years old. The lesson takes approximately 1 to 2 hours. In the end, you turn completely into a samurai and take a ceremonial photograph. Just observation is OK. The Kembu is one of the traditional arts of Japan. It is the dance matching recitation of the Kanshi (Chinese poetry) and the Waka (31-syllable Japanese poem) with the attire of the samurai with a sword and a fan. 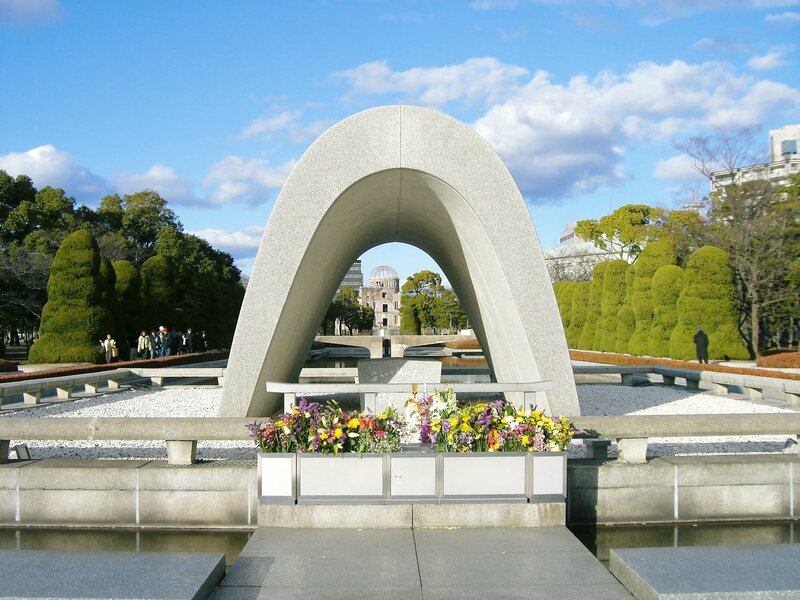 It takes approximately two and a half minutes to finish the dance of 1 program, and the sense of values and the spirituality of the samurai are condensed. 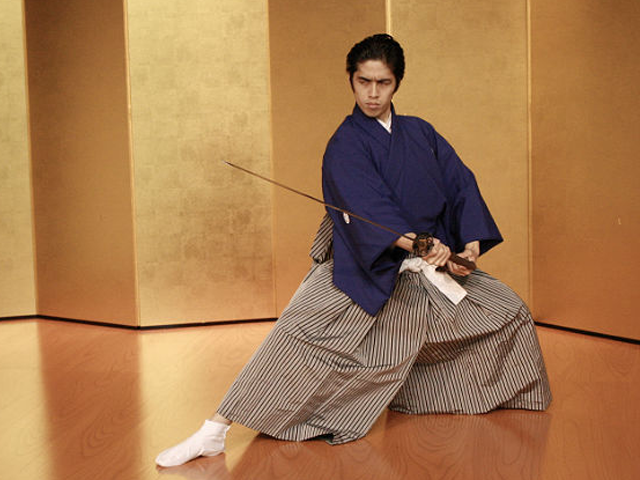 The samurai culture is one of the origins of the Japanese culture, the sense of values and beauty continues being valid in the modern Japanese mind. 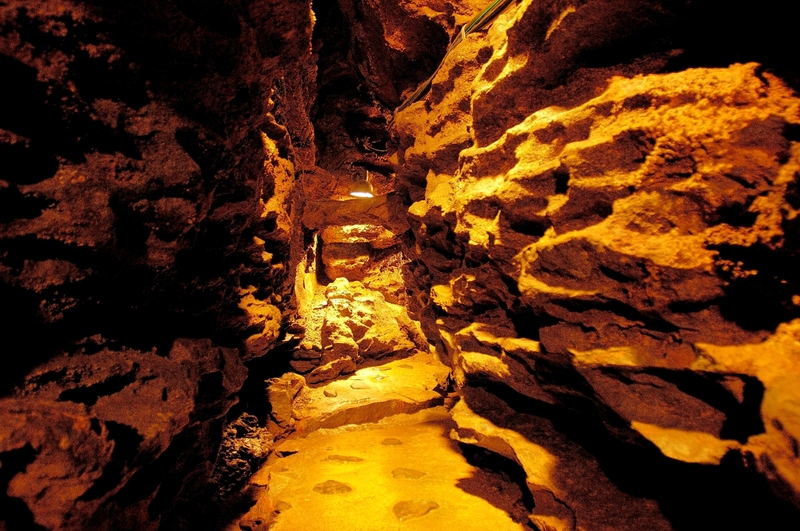 The Samurai Kembu theatre is the most recommended for the demand to experience a Japanese-style that you can know “the samurai culture and the origin of Japan”. Price: There are variou plans.